UFO SIGHTINGS DAILY: UFO Shoots Incredibly Close To Passanger Jet Over Eidhoven, Netherlands On Sept 2015, Video, UFO Sighting News. 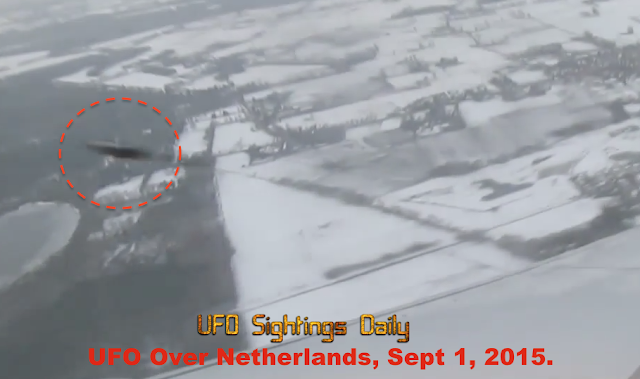 UFO Shoots Incredibly Close To Passanger Jet Over Eidhoven, Netherlands On Sept 2015, Video, UFO Sighting News. 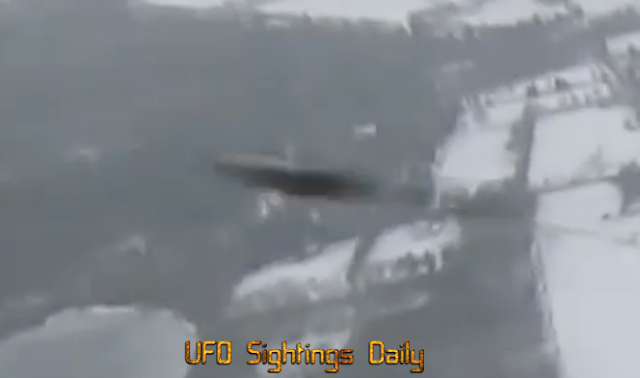 This UFO was caught buzzing a passenger jet a few days ago over Netherlands. The object, as you can see from the photo above, is dark and very thin in disk shape. These small UFOs have been recorded near planes a lot. Youtube is littered with them. I believe the UFOs are tiny drones that scan the current tech that flies and also records things on the ground. Every time there's a plane nearby, they have to shoot past. Scanning the plane must take just a second or less, because they are traveling at unbelievable speeds and never stop. A Dutch passenger captured UFO on video while on board the Ryanair airbus near Eindhoven, the Netherlands heading to Spain. Coincidentally, the passenger was recording because she enjoyed the view. After 4 minutes recording this UFO event happened. The engines made a lot of noise and the pilot made suddenly a sharp maneuver. The UFO endangered the aircraft. A lot of panic was on that plane.